ESG Rating unit of the Thaipat Institute, the pioneer in the development of Thailand’s corporate sustainability database, has compiled the ESG100 list for three consecutive years now. ESG100 refers to 100 best-performing publicly listed companies in ESG areas. 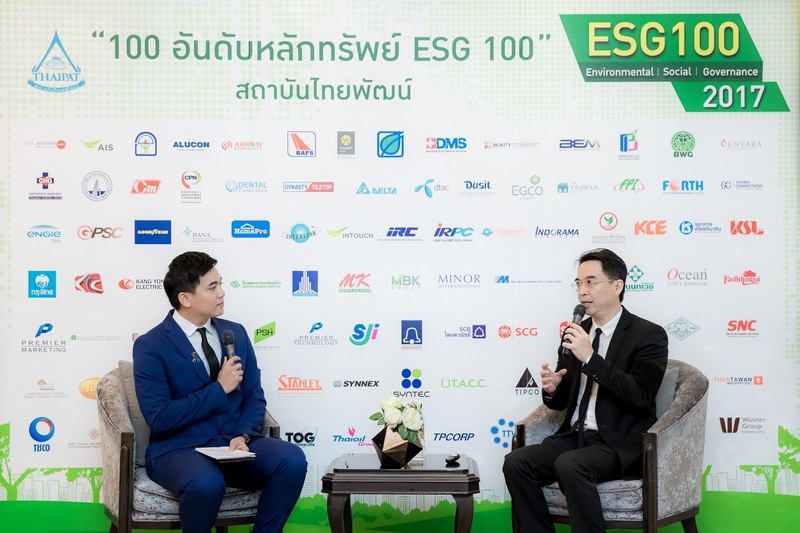 Just 100 out of the 656 companies on the Thai stock market (excluding businesses that have been undergoing rehabilitation) have made it to the ESG100 list. Thaipat Institute has assessed all these companies based on more than 12,148 data points of publicly-available ESG information from six data sources. With the ESG100 list, investors have basic guidance about which public listed companies have done well for ESG. Such information in turn enables investors to pursue sustainable investments and still enjoy the rate of returns that is no lower than what general investment approach can offer. Dr. Pipat Yodprudtikan, director of Thaipat Institute, says, “This year, we have conducted Integrated ESG Assessments. ESG and financial information have been analysed together so as to ensure the ESG100 list reflects the rate of returns and operating results related to the ESG activities of each company”. The 2017 list of ESG100 covers companies from eight industries. 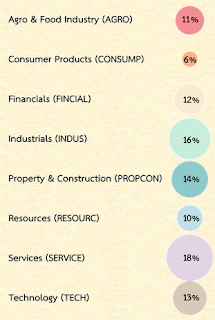 Companies from the services industry have the highest percentage on the ESG100 list. 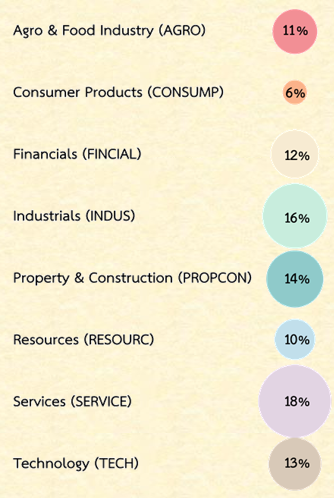 Of the top 100 publicly listed companies in terms of ESG performance, as many as 18 come from the services sector. The second biggest group on the list is the industrials industry, with 16 representatives. This year, the ESG100 list include ten companies from the MAI too. They are ARROW, BKD, D, FPI, ITEL, PPS, SPA, TACC, TPCH, WINNER. The ESG100 companies have the combined market capitalization around Bt6.2 trillion of the SET. In other words, they account for 40.6 per cent of the SET stock market’s total market cap of Bt15.3 trillion. By compiling the ESG100 list for the second year now, Thaipat Institute has promoted the improving disclosure of ESG information among publicly listed companies. The ESG100 list, moreover, has presented publicly listed companies that have done well on the ESG to local and international investors alike. The ESG100 companies therefore have won greater opportunities to attract investors who use ESG in pursuing satisfactory financial returns on the long basis and also in making positive impacts on the society. For more information on the stocks of ESG100 companies, investors can check out www.esgrating.com. 1 These sources are: Data listed under the Corporate Social Responsibility subject in the annual registration statement (Form 56-1), Securities and Exchange Commission; Information on TISCO ESG Investment Fund for Society’s stock investments as of 31 December 2016, TISCO Asset Management Company Limited; Data used for the granting of Sustainability Report Awards, Thai Listed Companies Association; Findings from CG Scoring surveys, the Thai Institute of Directors (IOD); Findings from sustainability development ratings on CSR Progress Indicators and Anti-corruption Indicators, Thaipat Institute; and information on Media and Stakeholder Analysis (MSA), Image Plus Communication Company Limited.